Muskegon Rescue Mission Thrift Stores are more than just a low-cost place to shop. Our stores provide on-the-job training to men and women who are guests at our shelters, or in our long-term discipleship programs. Through our Community Ministry Program, gift certificates are provided to those in the community with a need, as well as those staying in our shelters. Gift certificates allow our guests and community members to shop for clothing and other items at little or no cost. Our thrift stores provide an incredible opportunity for everyone in our community to support our mission. Every time you donate an item to one of our stores, you are helping to provide meals and shelter to those without. Shopping at our thrift stores allows you to find gently used, new-to-you goods at great prices. 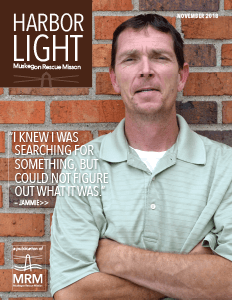 All store proceeds directly support the programs and services of Muskegon Rescue Mission. Visit one of our three locations today!